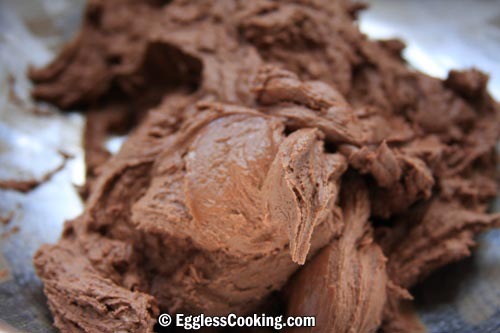 Some of the chocolate cake recipes I was looking for had a minimum of 3 eggs. 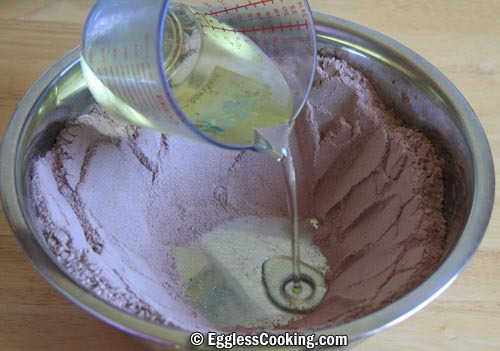 Then I found a recipe which required only 2 eggs, in my "Baking for Dummies" book. 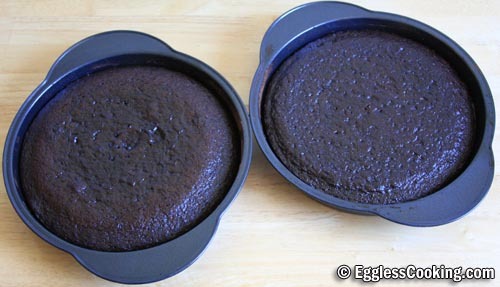 Grease and flour (I used cocoa powder to flour the base of the pan because it's a chocolate cake) two 9-inch cake pans. 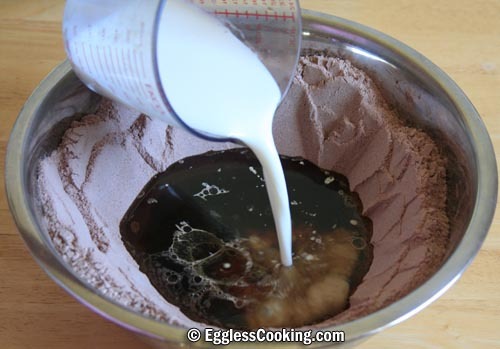 Spread about 1/2 cup to 3/4 cup of frosting on top of the bottom layer. Don't use hard strokes, but spread it gently using an offset metal spatula or plastic spatula. 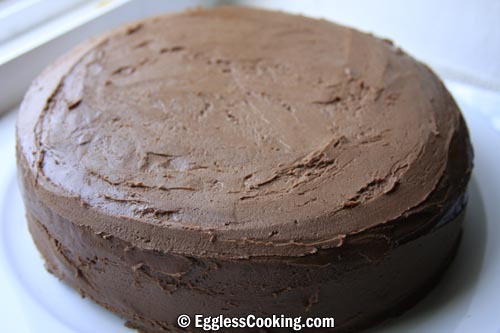 It was slightly difficult for me, but somehow I managed to frost the entire cake. Before and while frosting the cake I was not sure about the consistency of the frosting. Later after seeing quite a few cake pictures I realized that my frosting was definitely thick and that's why was I having hard time spreading it. I should have added a few more drops of water to thin it and frosting would have been a breeze. As you all know the options are endless. 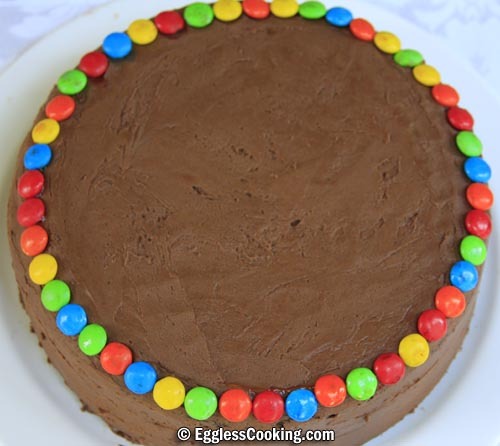 Being a rookie that I am, and because my son loves M&M's I used them to line the cake. 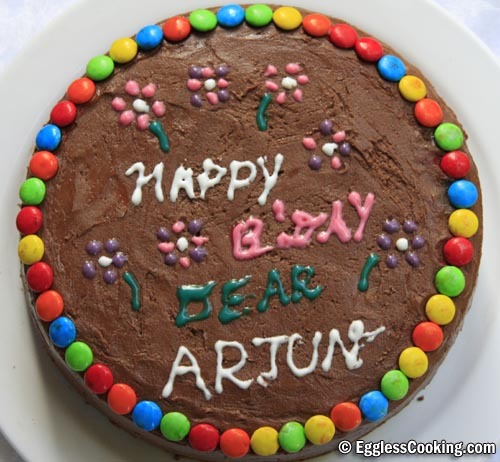 I also used the ready made Cake Mate decorating pens which are available in the grocery store in the baking aisle to write the birthday message and draw some flowers. As a whole the cake was excellent. But considering healthy eating I would modify the recipe a little bit the next time. 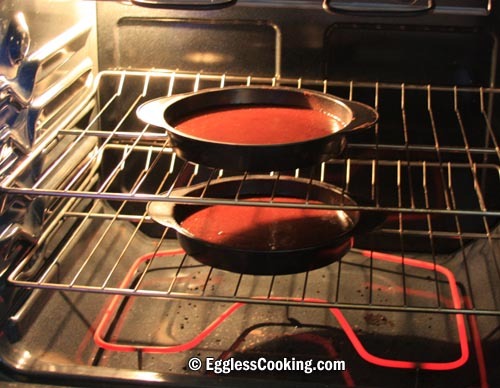 Like reducing the quantity of sugar in the cake recipe from 2 cups to 1.5 cups. 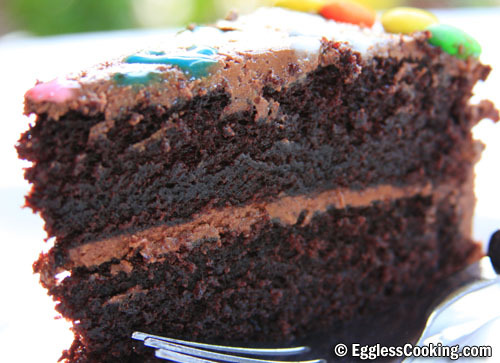 Since the frosting is also sweet enough, we don't need that much sugar in the cake too. Next reducing the quantity of oil too. Instead of 1 cup of oil, 1/2 cup can be replaced with unsweetened applesauce. Next RecipeCracked Wheat Dosas - Your Recipe Rocks! 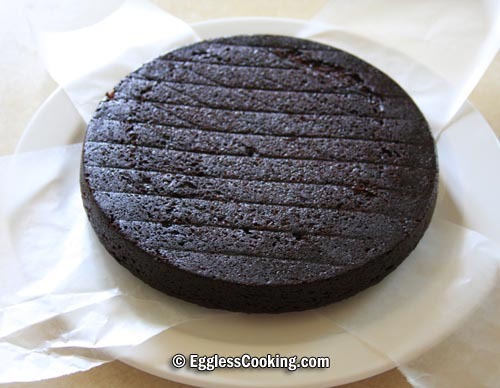 Hi Madhuram, My daughter has an egg allergy so we bake egg-free regularly, and I’ve made this cake now 3 times. My entire family LOVES it and can’t believe it’s made with tofu instead of egg! It’s so moist and delicious. Tonight I made it for my daughter’s 9th birthday party with a homemade mint buttercream frosting and the mint-chocolate combo was a big hit. Thanks! You’re very welcome Meighan. Belated birthday wishes to your daughter. Can you use pudding instead of yogurt or tofu? Can this recipe be converted to vanilla cake? 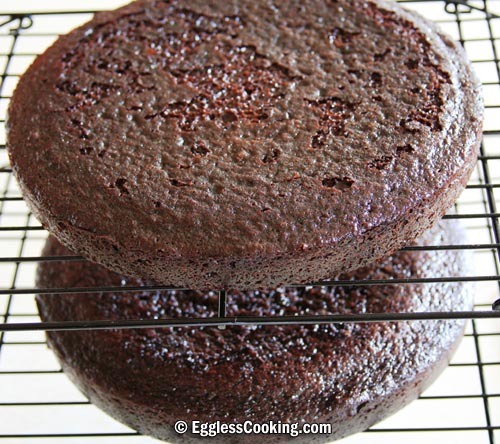 Why don’t you try the eggless vanilla cake instead? What if I use yoghurt or curd instead of tofu? Please reply. Yes it will work Madu. You’re very welcome Vimala. Thank you very much for taking the time to leave your comment. Hi there, thanks so much for the recipe, I tried it and it worked out so well although I left the purified tofu out and used all the ingredients, awesome cake. My children loved it and also I used simple icing. I personally loved. My family love this cake. Especially my son who is allergic to egg! Thank you for sharing. 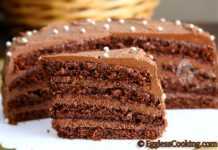 I tried this recipe and believe me every body who ate this cake , told me that its awesome cake, specially without egg. But I have one question here for the cake, I felt that its bit greasy cake or you can say that cake has oily feeling, is it because of of vegetable oil, can we replace oil with butter so that feel willbe less? Thanks Shruti. Hmm…I haven’t felt that it was oily but it’s a moist cake overall. Maybe you can try cutting back the quantity of oil and use unsweetened applesauce instead if you think it’s too oily for your preference. 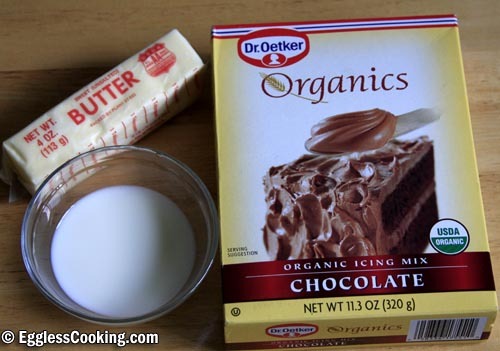 I don’t know the science behind but I have seen a lot of chocolate cake recipes which uses oil instead of butter, maybe that’s a better combination. What can we use instead coffee? Great recipes!!! 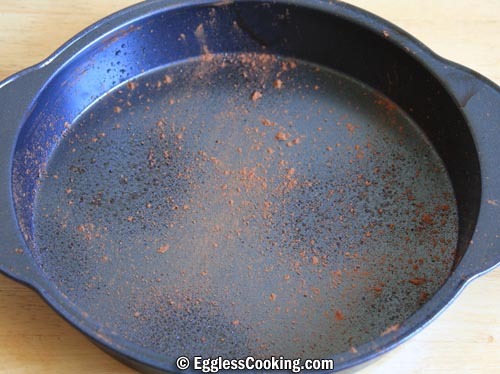 You can simply omit it and add plain water. What can we use instead of tofu? Thank you for the receipe. I also tried many receipe s from your site and they all are fool proof good. I will try it sure. 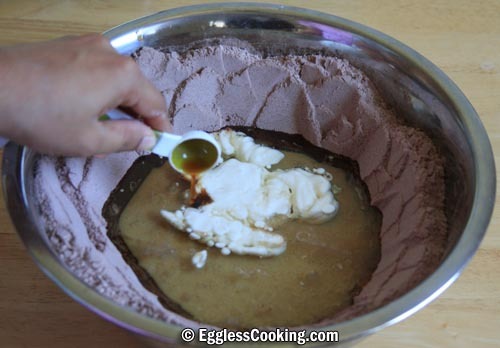 Also I replace carob powder because we want to reduce the content of caffeine in our foods. Please let us know the substitute FOR 1/2 cup tofu – and quantity. Can we use egg replacer.? Yes it might work. I think maybe 3-4 teaspoons of Ener-G with 5-6 tablespoons of water probably. You actually don’t need to add tofu or have a replacement for it. 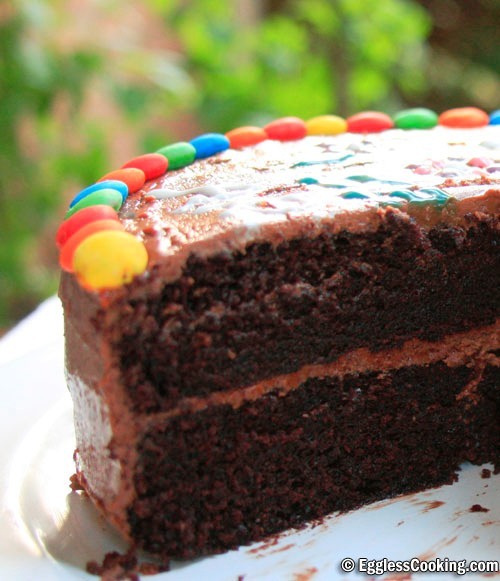 The cake without it is moist and absolutely delicious. My name is Aparna. 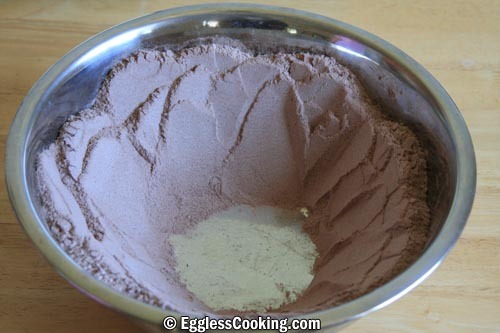 I tried to make the cake but then I don’t have cocoa powder with me what can I use if I don’t have cocoa powder? 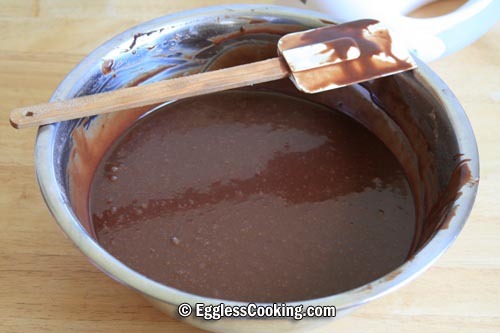 Do you want to make a chocolate cake? 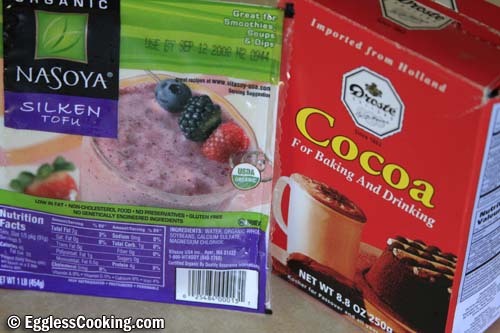 Then cocoa powder is a must. Thanks Chandana. 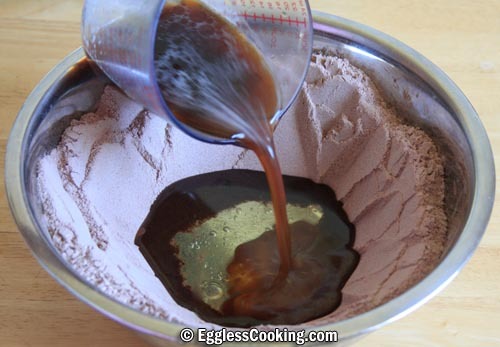 If we use condensed milk in this chocolate cake recipe then we will have to adjust the quantity of sugar and other liquids which is a lot of hassle. You can try unsweetened applesauce instead. 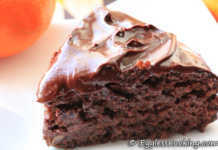 Is silken tofu is necessary to add for this cake? 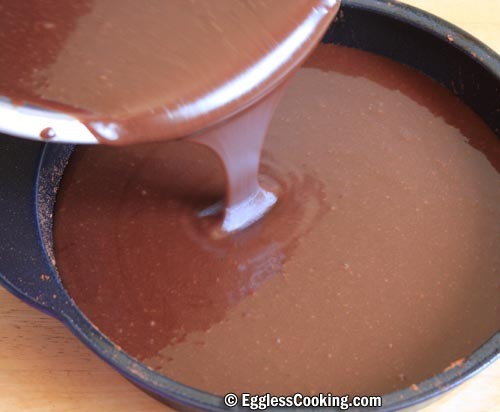 You can use unsweetened applesauce instead. I wanted to inquire if we can replace tofu with any other ingredient? Also if you discard tofu, please suggest. You can try replacing it with unsweetened applesauce instead of tofu. In case I use Yogurt instead of tofu, what is the quantity that I should use? It is the same quantity as the tofu. You can use unsweetened applesauce too instead. What is the substitute of tofu? You can try it with unsweetened applesauce. Hi. 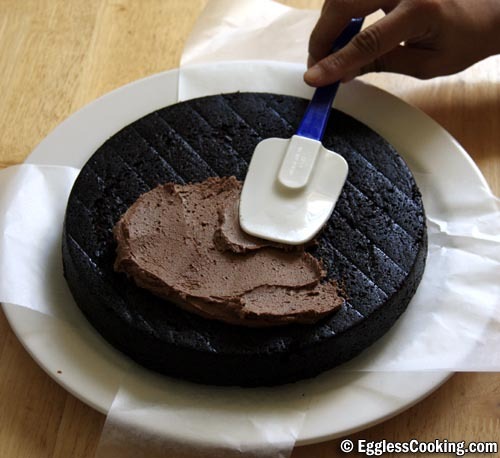 I am about to make this cake. If I replace 1/2 cup of the oil with 1/2 cup unsweetened applesauce,shall I add the applesauce together with the 1/2 cup canola oil after making a well? Yes you can do so Marish. Is silken tofu easily available? It depends upon where you live Rita. The cake tasted great. Sweet and moist. 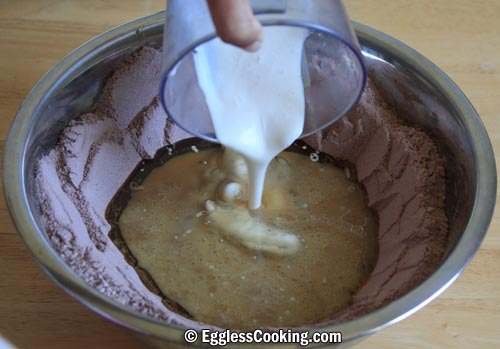 However, it did start to fall apart and it was very difficult to spread the icing. I did leave it to cool for about 3 hours. Where could i have gone wrong? Hope you followed the measurement as it is. Usually when there is too much liquid this might happen. Do you think it could have baked a little longer? I used the conversion link you provided but maybe it could be this. I baked for a little longer than you said as i checked with a toothpick to see when it comes out clean. But the cake was very moist so tasted good. I just would’ve liked it to look a little better! I dont drink coffee but it’s mentioned in your recipe..what’s the effect of coffee in this recipe and can I go without coffee??? You can very well omit coffee and just use plain water. 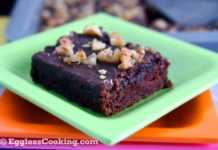 Usually coffee enhances the flavor of chocolate that’s why it is used in this recipe. But trust me you won’t even taste the coffee though.